How quickly can the Eastern Washington players pick up Jim Hayford's system? Hayford is in his first year after moving up from Division III Whitworth University, and he has some talented players on the roster. If they are able to quickly pick up his offensive and defensive system, they will be a threat in the Big Sky. They will find out a lot about themselves quickly, as they have perhaps the most challenging non-conference schedule in the conference. How good can Collin Chiverton be? Where will Idaho State get their points from? The Bengals lost two of their top offensive players in G Borderick Gilchrest and F Deividas Busma, and they weren't exactly a potent offensive team last year anyway. They return some experience, but not the in the way of offensive explosion. They need big things from JUCO PG Melvin Morgan, who will be the leader of the team right away. He needs to get easy shots for others, and knock down a few jumpers of his own each game. What does Joe O'Brien need to do to save his job? The fans are ready for the end of O'Brien's tenure (just read an Idaho State message board), so he needs to have success early and often this year. He has had two straight seasons of single digit victories, and a third might be his last in Pocatello. Can Will Cherry take the next step? He was on the first-team All-Conference last season, and his role will be even bigger this year. He is one of the best perimeter defenders in the country, and will be among the nation's leaders in steals. The biggest thing for him will be improving his outside shot. He is a solid offensive player even without a great one (22.5% shooting from 3-point range) but he can be the Player of the Year if he can consistently knock down outside jumpshots. How do they replace Brian Qvale? This has been a question mark for them all offseason, and they will be hurting even more with the likelihood that Derek Selvig will miss a little bit of the time to start the year with an ankle injury. Junior Mathias Ward will be a starter, and they need him to produce, especially rebounding the ball (not his speciality). Behind Ward and Selvig, sophomore Eric Hutchinson and freshman Billy Reader will be heavily relied on. Their development will determine whether Montana is a serious threat to win the regular season title. How quickly can Montana State find an offensive identity? They are bringing in a lot of new guys, and they will have to quickly fit into the system. How quickly Brad Huse finds a rotation he is comfortable with, and how the players work together will be of key importance. They should be pretty versatile, so they could be difficult to match up with and gameplan against. How good are Montana State's JUCO wings? Xavier Johnson-Blount and Jamie Stewart are very talented, as they were both JUCO All-Americans last season. They will also have sophomore Shawn Reid in the mix, a trio that Brad Huse has to be extremely excited to throw out there. If they are as good as advertised, Montana State will be a matchup problem for everyone in the Big Sky. Northern Arizona is very thin up front, and that was even before Austin Smith quit the team (Smith was their most experienced returnee). They don't really have any other experienced returnees in the frontcourt. One guy likely to get a lot of time Max Jacobsen, a JUCO guy that posted 22 and 8 last year. Who steps up on the wings for the Lumberjacks? Similarly, the inexperience is plaguing them on the wings, especially with the injury to Gabe Rogers. They are young and have not had any consistency in the preseason, according to Coach Adras. Senior Durrell Norman is the one guy we know about, and there is a lot of opportunity for the guys behind him. It seems junior Michael Dunn will get the start in the opener, but I think Danny Cheek and Jywrell Wilson will get a lot of looks also. Can someone step up and be "the guy" for Northern Colorado? Last year, Devon Beitzel was the MVP of the Big Sky and a guy they could go to in the clutch. This year, it's tough to say who that guy will be. Best guess might be redshirt freshman Tevin Svihovec, who looked good in the exhibition. A couple other possibles are Elliott Lloyd (lone holdover starter from last year), Paul Garnica, or Tate Unruh. They have talent, but it's tough to see how the rotation will shake out and how guys will fit in their roles. Can BJ Hill make Northern Colorado a consistent winner? Hill certainly had a fantastic debut, leading the Bears to their first ever NCAA Tournament berth. However, year two will likely provide an even greater insight on how well he will lead the program going forward. He was playing with all of Tad Boyle's guys last year, and now has a class of his own recruits, as well as the ability to remake the roster somewhat. If he can lead UNC to a top 4 finish, Bears will have to be very encouraged. Does Portland State have the depth to contend? They should have a solid starting lineup, but depth will be an issue. They will eagerly awaiting the eligibility of Renado Parker, as they expect him to be a solid contributor in the second semester after he becomes eligible. He is in the mold of Chehales Tapscott, an undersized big man that can score down low and should be a solid rebounder. Their rotation should be about 8 deep, so they can't afford any other guys to miss time. Can Portland State improve defensively? The last couple of seasons they have been bad defensively, an area that needs to improve significantly. One reason for hope is that they will be eligible for postseason play this year, unlike last season. A lot of times, defense can be about desire, and they should be more motivated this season. If they can be an average defensive team, they have the offensive firepower to be a threat. 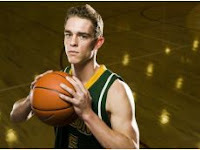 How good can Dylan Garrity for Sacramento State be? The Hornets don't have a ton of talent, but Garrity has the potential to be very good in the Big Sky. He had an accomplished high school career, and put up 9 assists in their exhibition win. If he can take over the PG role and take over the offense, Sacramento State should be better off in the short and long run. His development will be a big storyline. When does Brian Katz enter the hot seat? Katz has won 18 games in three seasons, and that is not a good record no matter what program you are coaching. This will be an experienced team, and the Hornets need to get off to a good start with a pretty easy non-conference schedule. If he has another single digit winning season, it will certainly be a disappointment, as their goal is to finish over .500. If things don't improve he will certainly start to feel the pressure, as he has also experienced quite a few guys leaving the program early in his tenure. Will Weber State come through in the Big Sky Tournament? 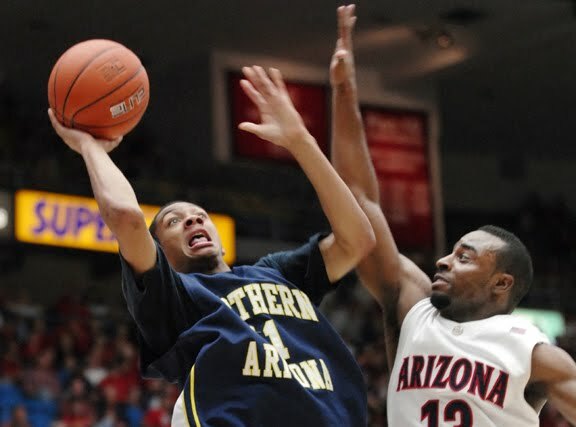 The Wildcats have consistently been near the top of the Big Sky for the regular season, but recently that has not translated into success in the Big Sky Tournament (you might remember the Anthony Johnson Game a couple years ago). There is no reason for this team to miss the Tournament, as they are the most talented and experienced in the Conference. Anything less than an NCAA Tournament appearance will be a disappointment. How good is Damian Lillard? Lillard has been getting a lot of publicity this offseason (more than you would usually see from a Big Sky player), and reports on his rehab are exceedingly positive. When healthy is the best player in the conference and has the potential to be a first round NBA draft pick, something the Big Sky hasn't had since Rodney Stuckey. He will be relied on heavily, even though he has a talented supporting cast. What are your thoughts? Any other burning Big Sky questions?